Pressable home buttons? No more, just touch areas. Separate camera shutter release? Nowhere to be seen. Gesture control here, squeeze frame there, and the development goes forward everywhere. Only the keys for volume and power remain the same cheap clicky buttons that are standard everywhere else. The only exception is HTC, and that’s great! It’s been less than three months since it happened again. One of my smartphones had a small crumb or piece of dirt stuck in it. The power button was stuck again, but it didn’t work reliably or would press itself without me doing anything. Only after two weeks and dozens of attempts, the smartphone finally worked again. It could have been worse. The smartphone didn’t need to be repaired because of a piece of dirt in my pocket. Over and over again in the past years, I had smartphones in my hands where the buttons on either side caused problems or just seemed really cheap: wobbly objects that feel strange and don’t give the impression they could survive the tough daily grind of a smartphone. But there’s hope, and that’s because of HTC. For the first time, HTC has completely gotten rid of clickable keys on the new U12 Plus. Instead, there are elevations in the aluminum frame that look like keys, but are completely immovable. Instead, HTC uses the same technology used in Edge Sense to detect whether a button is pressed or not. What an ingenious idea! First of all it’s unusual because of course you notice that you don’t actually press the button. 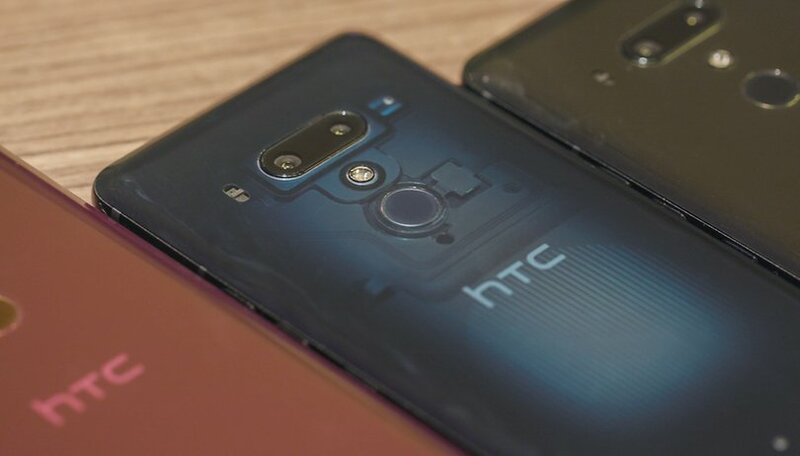 But the haptic feedback from the HTC counterpart to Apple’s Taptic Engine fits and immediately provides information about whether the print was registered or not. After a very short time I got used to the buttons. HTC has been thinking: when the phone is in standby and no music is playing, the volume keys have and no function and don’t respond either. But when I listen to music, it reacts exactly as it would when the screen is locked. It is obviously not possible to press only two keys simultaneously at the same time but it’s a good thing that HTC has quickly accessible software key built in for screenshots, for example. The fewer moving parts in a smartphone, the better! Yeah, maybe they could’ve moved the buttons up a little so I’d be better off. And yes, maybe they could get be a little more subtle. But it’s also the first generation, so I can easily overlook that. The best way to go is without more mechanical parts. Thank you, HTC, for taking this step! Have you ever had broken buttons on a smartphone? What do you think of HTC's solution? I've had a U12 Plus as a daily driver for three months, and the buttons work like buttons. Actually, I now like them better than the old mechanical buttons. They are responsive and will never wear out, and the little haptic snap is cool enough to make you want to keep "clicking" them like people play with a ball point pen button. We own the iPhone XS Max, and I prefer the U12 Plus over it. The Galaxy S10 has a better screen, but that's it. Camera, battery, audio, and performance are all better on the U12. And yes, you read that right: The U12 Plus from last year is faster that the new S10. I have been a loyal HTC fan since the days of the HTC Sensation. Since then, I have had the 8, 10, 11, and I'm about to try the 12 plus. Although the reviews have been mixed, I am sure a lot of politics and online jealousy contributed to those negative reviews. The HTC u11 is the best phone I have ever owned. Because of that, I'm willing to spend the $800 to try the next flagship phone from HTC. In a few months I will update this review and let you know whether I am disappointed or thrilled. One day my smartphone has fallen down on the side and the volume key has been a little folded in the center. It did not answer well. Another time milk poured on sofa and power button was no longer working. I have never had buttons mess up. I guess it is because I keep all my phones in a case and dirt and particulars cannot get to them. I know I like to see the phone outside the case because it looks good but I know what conditions I use my phone in and it would be crazy not to have it in a case so I get the slim ones. I like the feel of a button but the haptic touch is a good idea. The power button can double as a touch reader for ID. There's no lag at all. We own the iPhone XS Max and the 8 Plus, and the iPhone haptic feedback is a little sharper, but they give up a huge amount of internal space for their haptic engine. I'd rather have the bigger battery, and it holds up better for hard gaming because of that. I've read that it still has some minor bugs on the buttons like some delay, but nevertheless I'm getting it and upgrade from HTC 10.